Posted in Blue Point Records. Talented, young Texas based musicians, Glenn and Alex Peterson, known as The Peterson Brothers, are set to release their self-titled debut CD, The Peterson Brothers on Blue Point Records. 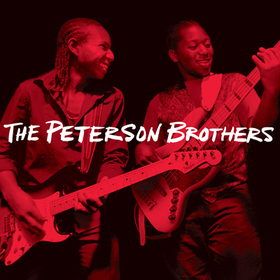 The Peterson Brothers’ influences are diverse, ranging from traditional blues to funk; impressively fused together with ease to create their own sound without abandoning their blues roots. This eleven track CD also showcases The Peterson Brothers strong writing skills on four original tracks. The blues duo, who have already achieved a large fan base, as well as a significant number of accolades, recorded the CD with Grammy Award winning producer Michael Freeman at the helm, to achieve a solid contemporary, electric blues sound.